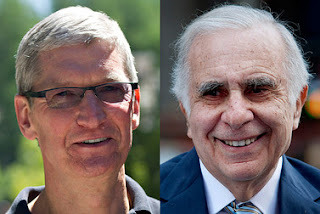 SAN FRANCISCO (MarketWatch) — With its market value still more than 30% below its peak, Apple Inc. has drawn the gaze of investor activist Carl Icahn, who announced a “large position” on the iPhone maker’s stock on Tuesday afternoon. 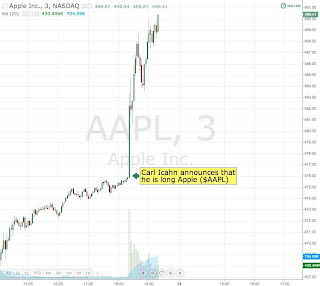 The Tweet gave a notable boost to Apple’s stock, which was up more than 4.7% to $489.57 by the closing bell. The shares were up about 1.8% prior to Icahn’s announcement. “We currently have a large position in Apple. 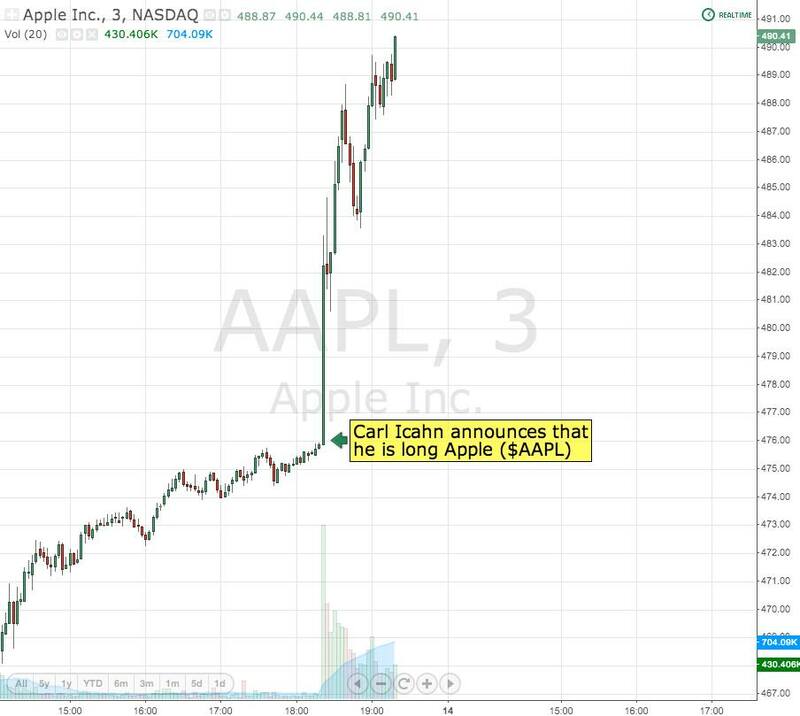 We believe the company to be extremely undervalued,”Icahn tweeted. Read our previous post on Icahn pick on CHK(Chesapeake Energy), during the time we posted. It was just USD$17.60 and now it is already at USD$25.03. This is 42% gain in 9 month.